Praise to You Most Holy Trinity for the graces, privileges, and blessings bestowed on the Immaculate Heart of Mary! Rejoice and be glad Immaculate Heart of Mary. 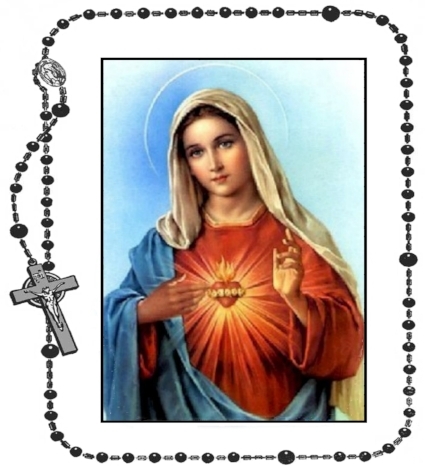 Blessed be the sorrowful and Immaculate Heart of Mary. Triumph and reign, O Immaculate Heart of Mary! Most Sacred Heart of Jesus Thy kingdom come through the Immaculate Heart of Mary! Immaculate Heart of Mary, be my refuge! Saint Joseph, spouse of the Immaculate Heart, pray for us!